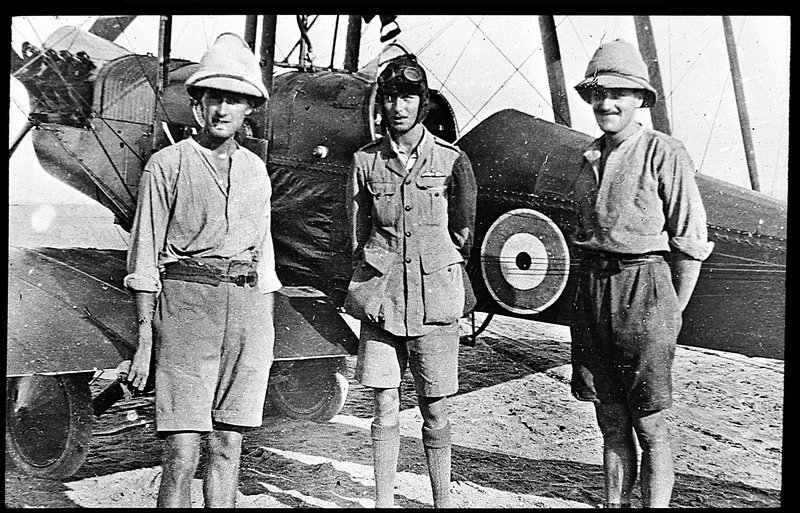 The Siddons Collection consists of a number of artefacts belonging to Victor Siddons, the Royal Flying Corps pilot who flew Lawrence in his plane during the Desert Campaign. Siddons is mentioned several times in Seven Pillars of Wisdom. The Collection was bequeathed to the Society by his son, Tony Siddons, and is kept at the Tank Museum in Bovington, where items are regularly displayed in the exhibit on Lawrence. It includes a compass, binoculars, camera, camel rug used for sleeping in the desert at night and brass plates taken from a train blown up by Lawrence’s forces. Also in the Collection are three boxes of glass lantern slides. These were produced in 1928 by Messrs Newton & Co, London, as part of two lecture sets – The Imperial Camel Corps with Colonel Lawrence, and Lawrence and the Arab Revolt – with accompanying lecture notes written by Captain D. G. Pearman, a member of the expedition. it was, of course, Lowell Thomas’s Travelogues that introduced the ‘Uncrowned King of Arabia’ to the public. In 2012, members of the Society embarked on an exciting project to recreate one of the old lecture shows – Lawrence and the Arab Revolt. lecture notes. We were fortunate that the Edwards H. Metcalf Collection of the Huntington Library in California was able to supply some slides missing from our collection. 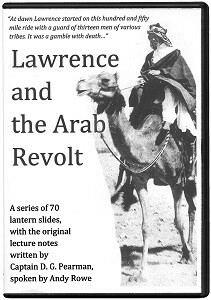 Lawrence and the Arab Revolt – a DVD recreation of the original lecture show – was given its premiere to an enthusiastic audience at the Society’s 2012 Symposium. One of the slides – showing Siddons himself (centre) – together with the accompanying voiceover, can be sampled below. require (PAL or NTSC). The page will reload to show your choice in a Shopping Cart below the options. Simply click on the PayPal link to complete your purchase. 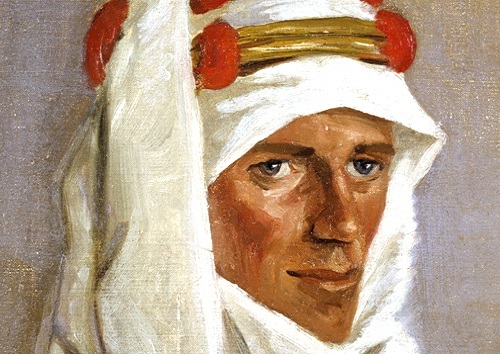 Alternatively, you can send a cheque (UK sterling) with details of which format you require to: T. E. Lawrence Society, P. O. Box 728, Oxford, OX2 9ZJ, England.